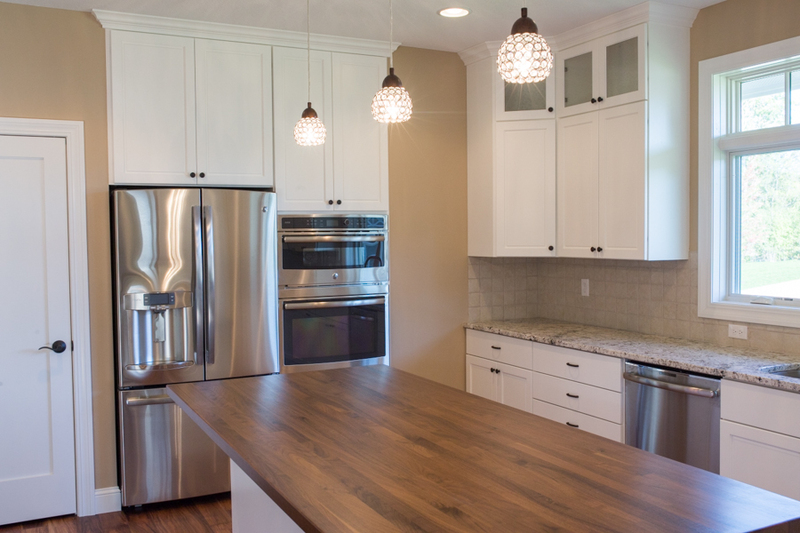 Is your kitchen feeling past its prime, crowded, or dated? There are few greater deterrents to hosting family and friends than having a kitchen that doesn’t suit you. Kitchens have become a gathering place in modern homes. They’re the heart and soul of family dinners, elegant cocktail hours, holiday meals, birthday parties, wedding and baby showers, weekend pancakes, and afternoon football games. So, what design elements can take a kitchen from tired to trendy? Read on below for our five favorite improvements for creating the ultimate host’s kitchen! Nothing says welcome to guests like connected spaces for wandering. Open concept homes keep hosts close to the action and enjoying time with their guests. A customized island is the perfect kitchen secret weapon. Whether you want to add a mini bar, prep spot, second sink, or buffet space – the sky’s the limit! Another excellent addition to any host’s kitchen is plenty of seating. From bankets to breakfast nooks to spacious stool surrounded islands, extra seats help people settle in and stay for a while. It may sound counterintuitive, but organized and efficient storage keeps any kitchen livable. After all, a crowded space is hardly welcoming. Having everything in its place leaves lots of room for visitors. Finally, when planning your kitchen remodel, always consider the flow. Think of it in terms of what tasks go together. For example, the dishwasher and sink should probably be located in the same corner for easy cleanup. Ready to start remodeling? Get in touch with Doug anytime; he’d be happy to help you get things rolling!